Welcome to the Nasher Sculpture Center, ‘one of the finest collections of sculptures in the world’. This award-winning art hotspot was built in 2003 to continue the legacy of Patsy and Raymond Nasher, a couple whose passion for modern and contemporary sculpture is palpable to any of those who have visited or known them. 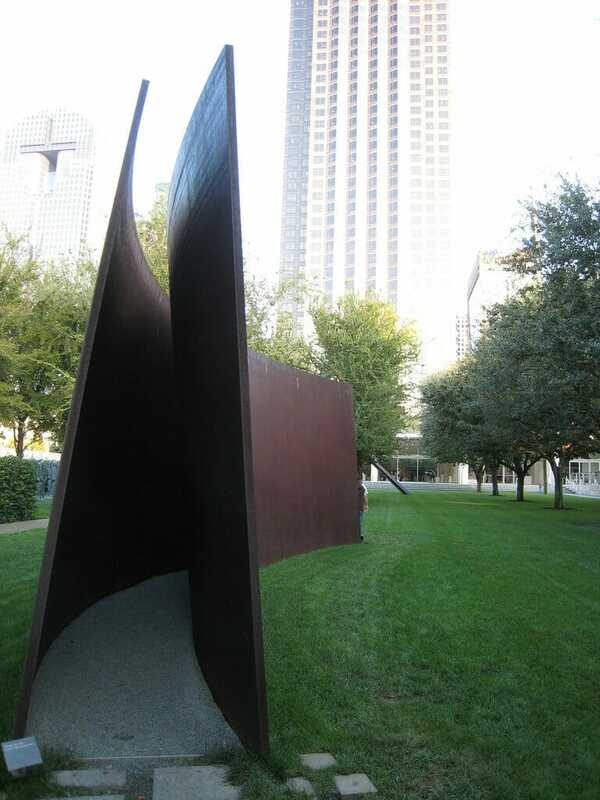 Nasher Sculpture Center is located on Flora Street in the heart of the Dallas Arts District, holding both indoor and outdoor galleries, an auditorium, and education and research facility, and even an onsite cafe and store. The notable architects behind all this stunning work are Renzo Piano on the inside, featuring both classical and modern architecture, and Peter Walker for the outside landscape architecture. During regular hours (11 am to 5 pm) your group can see this museum in one of two ways: 1). As a guided group tour with 10-20 other people, or 2). As a self-guided exploration. The museum offers a quick 20-minute orientation film in the main media hall as you first get here, something you may consider stopping to watch for more info before continuing on through the museum. The ‘inspiring and engaging’ group tours offered here last about an hour with a possible lunch option included. If this isn’t your style just discover the fantastic contemporary sculptures all around on your own, with over 300 pieces total here including artists such as Calder, Hepworth Matisse, and even Picasso. Before you go stop at the ‘Best Museum Store’ in the state (D Magazine) or grab a bite to eat at the onsite cafe inspired by Wolfgang Puck. The kids will love the seasonal sandwiches, soup, and salads served here, and it’s budget friendly too!